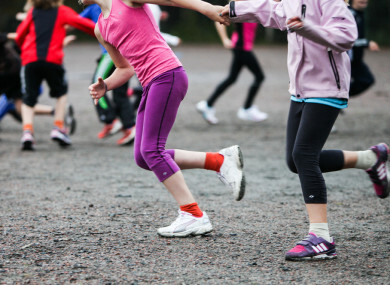 PE IS SET to become a Leaving Certificate subject from next year, it was announced today. Schools are being asked to apply from today to the Department of Education and Skills to take Physical Education as a full, examinable Leaving Certificate subject. Separately, a new Senior Cycle Physical Education (SCPE) framework which is not for examination is also being introduced. The new subject will have three core assessment components. Students will be required to complete a physical activity project, a performance assessment and a written examination. Among the areas studies will be sports psychology and skill techniques and the subject will be available at both higher and ordinary level. Meanwhile the new SCPE will a modernised curriculum for all senior cycle students. Commenting, An Taoiseach Leo Varadkar said that the introduction of PE as a Leaving Cert subject had been “priority” for the government. “The benefits will be far-reaching, including improved health and fitness among young people, raising awareness of physical health, and increasing the range of subjects on offer,” Varadkar said. PE will be introduced on a phased basis from September. It is envisaged that about 50 schools will be included in the first phase of the rollout of the subject. Email “PE is set to become a Leaving Cert subject from next year”. Feedback on “PE is set to become a Leaving Cert subject from next year”.